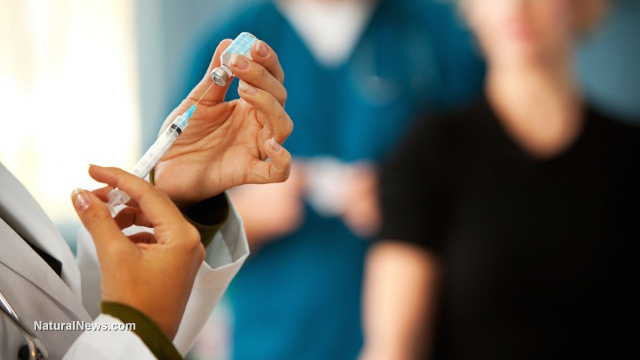 One of the most vaccine-compliant counties in northern California is experiencing one of the worst whooping cough outbreaks in the entire state, according to a new reports. Yolo County, which sits directly east of Napa County near Sacramento, is reportedly seeing a larger spike in cases of pertussis than most other counties in California, despite the fact that roughly 95 percent of the children living there are up to date with their vaccines. Officials are aghast at the latest figures, which already show a 900 percent increase in whooping cough cases compared to last year. And since only about half of the year has passed, this figure could increase even further as the seasons change. "We are in the midst of a statewide epidemic of pertussis," stated Dr. Constance Caldwell, Yolo County Health Officer, to reporters. "It's most concerning because infants can become seriously ill and die from pertussis," she explained to CBS Sacramento. Dr. Caldwell also admitted that Yolo County hasn't witnessed the decline in vaccine use that other counties throughout the state have. This suggests that the whooping cough vaccine is not providing the level of protection that we've all been led to believe it does, and that children who have already been vaccinated are still falling ill with the disease. "Pertussis can be prevented by vaccine, but vaccine effectiveness does wane with time," she is quoted as saying by the Daily Democrat. At best, the pertussis vaccine provides minimal protection against the disease, and only if children repeatedly get jabbed for it. The U.S. Centers for Disease Control and Prevention (CDC) recommends that young babies receive five whooping cough shots before entering kindergarten, and after this an additional booster shot in the seventh grade. This is a whole lot of vaccines during a very short period of time, illustrating how quickly they lose their effectiveness. If a child has to get jabbed on five separate occasions before the age of five in order to have a chance of staving off whooping cough, it is no wonder that the disease is spreading most prominently in areas where most of the children have already been vaccinated. After all, those who receive the shot can act as disease carriers, infecting others who are immune-compromised or who have lost the temporary immunity gained from previous shots. Only those children who have not been vaccinated, and who have instead developed lifelong immunity to whooping cough through natural exposure, obtain real protection. The reason for this is that vaccines override the body's innate, also called mucosal or non-specific, immune system. This system is the body's primary line of defense against bacteria, viruses, toxins and other harmful invaders, as it deals with these threats first so the body's second line of defense, the adaptive immune system, doesn't have to. However, when vaccines are brought into the equation, the innate immune system is artificially bypassed. The consequence of this is an unnatural immune response that not only fails to confer lifelong immunity but can also cause immune damage, leaving a person more susceptible to infection. "Whereas natural recovery from many infectious diseases usually stimulates lifetime immunity, vaccines only provide temporary protection and most vaccines require 'booster' doses to extend vaccine-induced artificial immunity," said Barbara Loe Fisher, president and co-founder of the National Vaccine Information Center.